The cottage features an open-plan entrance, living room, and kitchen area. The kitchen area is well- equipped, featuring all the necessary amenities plus a dishwasher. The living room is equipped with an air conditioner, a fireplace, a TV with a satellite dish, a DVD-player, and a game console. Next to the kitchen, you will find a small laundry room with a washing machine. There are two bedrooms, one with a double bed and one with two single beds. Theres a WC and a washbasin in one bathroom and a shower in a separate room. At the far end of the house theres a bedroom, kitchenette, and bathroom with its own entrance. The bedroom has a bunk bed for 2-3 people and the bathroom has a WC, a washbasin, and a shower. The beach is only 250 metres away. It is a popular, child-friendly, sandy beach with a bathing dock. Kårehamn, the harbour, is also about 250 metres from the house. By the harbour, you will find a fish mongers and a restaurant specialising in fish. Theres also a museum of fishing. Öland has plenty of lovely bicycle trails which makes it easy to go places by bike. The owner of your holiday home has four bikes that you may use. The nature here is stunning and theres a number of lovely beaches to choose from. If you enjoy golfing, Ekerum is nearby, offering one of Swedens largest golf courses. Families will enjoy the zoo and amusement park by the bridge, Ölandsbron. 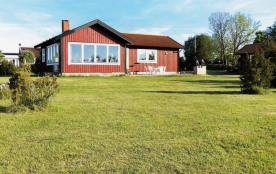 You can also take a daytrip to the mainland and visit some of the charming places in Småland, such as Astrid Lindgrens World in Vimmerby. Katthult and Bullerbyn, well known from Astrid Lindgrens beloved childrens books, are also close. 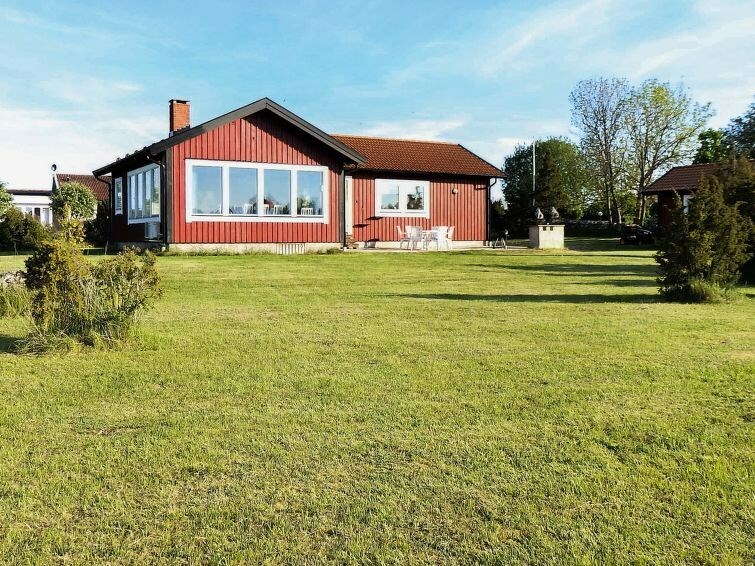 Borgholms kommun - 7 pers.